We have discovered a very Australian place in the traditional German Hahndorf. 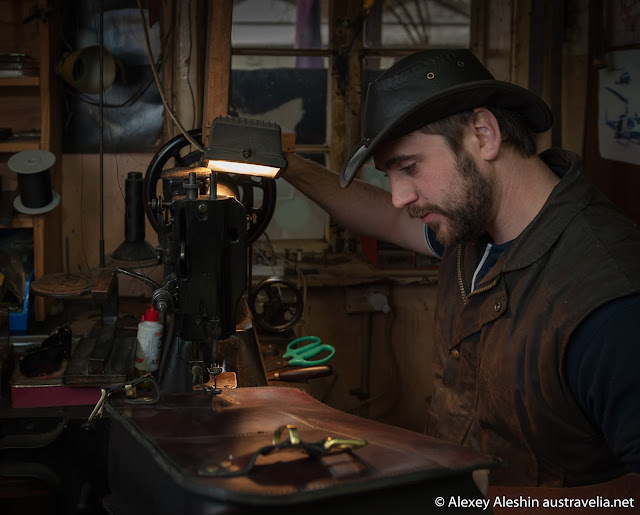 It's John Graham Leathersmith & Bush Gallery. It is the oldest business in the Hahndorf Main Street, running from 1983. 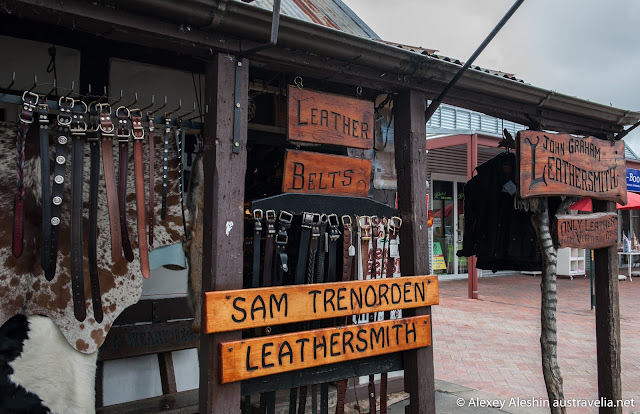 Over these years, this shop has become an icon of Hahndorf, entertaining visitors from all over the world. 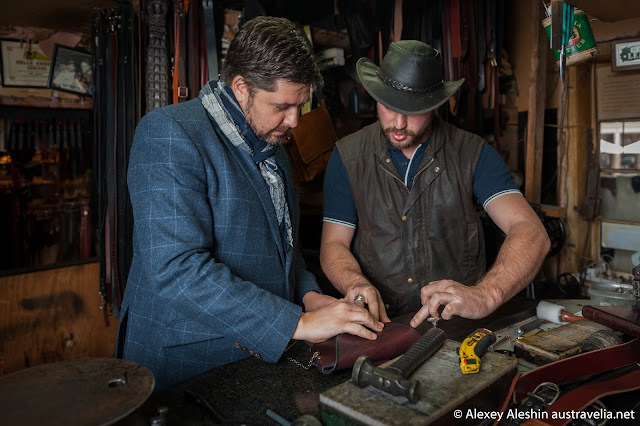 In the shop sold a variety of leather goods, such as oilskin coats & vests, wallets, purses, belts, hats, suede goods, whips and much more. All goods are made from various animal leathers - from cow, to kangaroo and crocodile. The shop is located in a building built in 1854! For more than hundred years this building was a pub. Perhaps that is why the shop has remained such a relaxed and pleasant atmosphere. Guests can always find the warming fire there, complimentary glass of port, and a friendly smile. John Graham had run this business with his wife Jenny for 30 years. After John's death, the business run by his son Sebastian Graham, who inherited from his father all the working skills and knowledge. Sebastian is incredibly nice and charismatic man who invited us into his workshop and showed how he creates his wonderful leather goods. 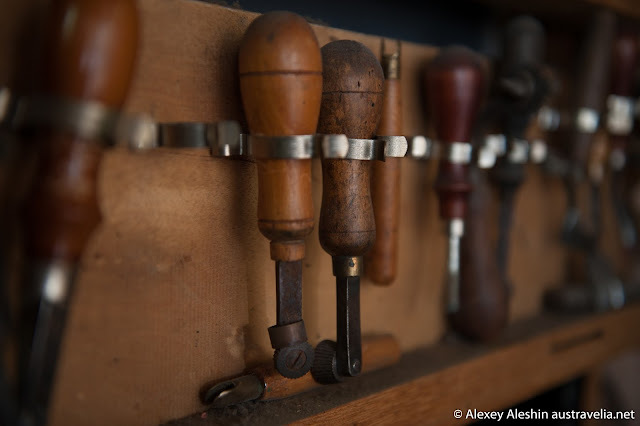 Sebastian works in the traditional manner, using old hand-tools and equipment received from his father. 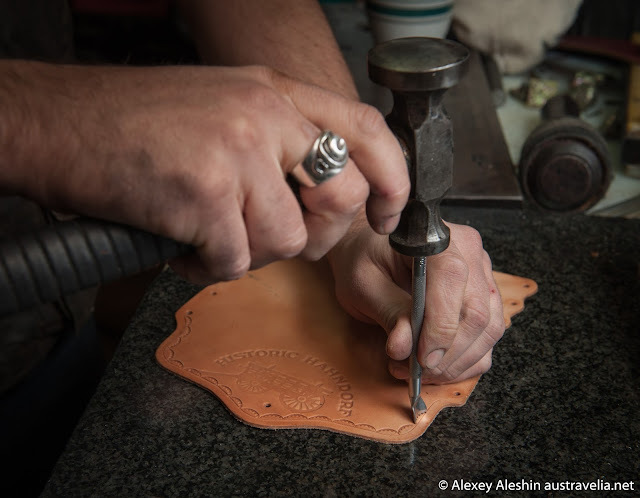 He manipulates them with incredible precision and dexterity, creating real masterpieces.